Putnam was born on September 6, 1873, in Waveland, Mississippi, whilst his family was traveling. He had an older brother, George, born in New Orleans, and a younger sister, Clara Elizabeth, born in Mississippi. Their father, Oramel Hinkley Putnam (1841–1880), was a civil engineer from Vermont and served in the Union Army during the Civil War. Oramel Putnam was a railroad worker, and the family frequently relocated during the sculptor’s early years. The Putnams eventually settled in Omaha, Nebraska, for an extended time whilst Putnam was growing up; Putnam enjoyed drawing animals and modeling them in clay during this period. He experienced a serious accident as a child, falling forty feet out of a tree and receiving a head injury. 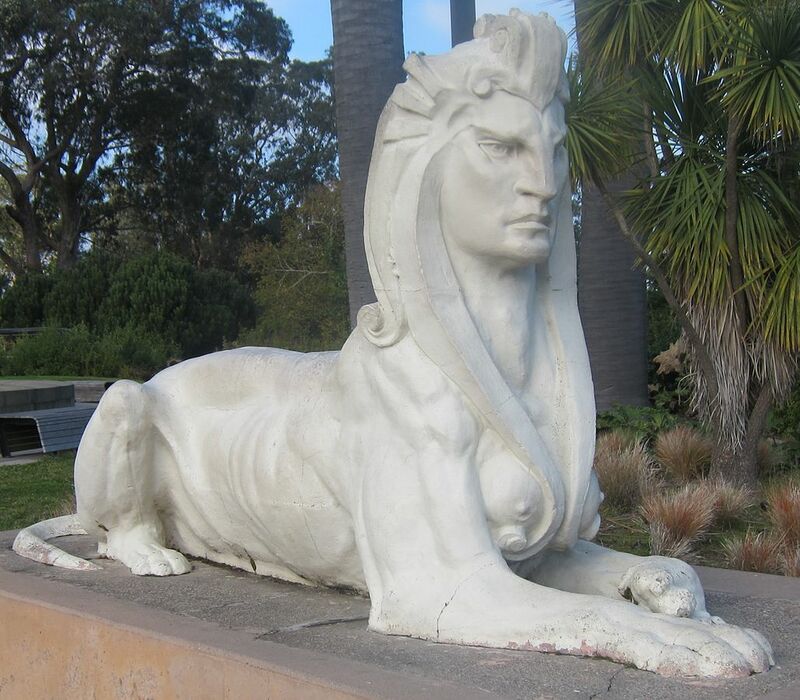 In 1899 Putnam married and moved permanently to San Francisco, employed as an assistant to Rupert Schmid, working primarily as a sculptor of architectural sculpture. Putnam received his first major commission from the newspaperman, E. W. Scripps (1854–1926), for the creation of five monumental figures from California history and lore. Putnam’s brother, George, worked for Scripps’ secretary, and this arrangement led to Putnam visiting the Scripps Ranch at Miramar, where he was awarded the commission. Five works were initially planned for locations on the Scripps estate, and the designs were to be approved by Scripps. In San Francisco, Putnam was friends with artist and stained glass designer Bruce Porter (1865–1943) and the tonalist painter Gottardo Piazzoni (1872–1945); these friendships would help sustain the sculptor in the future. He shared a studio with sculptor Earl Cummings (1876–1936), and Piazzoni at 8 Montgomery Street (part of the Montgomery Block, where a number of other artists and bohemians lived). Literary figures such as Jack London (1876–1916) and George Sterling were known to visit the studio. Putnam worked with progressive painters like Maynard Dixon (1875–1946), Matteo Sandona (1881–1964), and Xavier Martínez (1869–1943), all of whom left the San Francisco Art Association and formed the California Society of Artists with Piazzoni and Putnam. The breakaway group organized a single exhibition that was held at Charles Peter Neilson’s studio in 1902. Neurological problems which began in 1909 led to the removal of a brain tumor in 1911. As a result of the operation, Putnam was paralyzed on his left side and his formal perceptions were impaired. The Jack London Writing Tablet, considered to be one of Putnam’s most interesting, impressive, and personal works, had faded into obscurity after its presentation at the Children’s Pet Exhibition of 1917 in San Francisco. The California redwood sculpture was rediscovered by San Diego antique dealer Christian Chaffee in 1998. The history of the Jack London piece remains unclear, but it was likely created in 1903. Putnam and Jack London were good friends. The animal depicted in the sculpture has been identified as “Old Buck”, the resilient dog from London’s major work, The Call of the Wild. Research supported by The Huntington Library confirms that Jack London owned the piece in 1916.